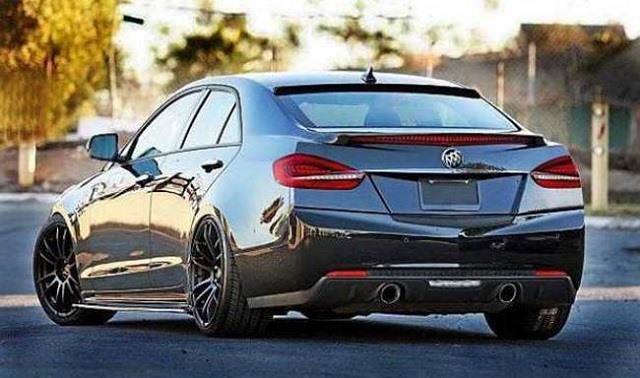 If you are looking for something that offers features of both an entry-level luxury sedan and a mid-size family sedan, 2017 Buick Regal is certainly worth looking into. The 2017 Regal will be arriving with no major changes, although it will offer a better degree of elegance, style, and comfort. A complete redesign will arrive when the 2018 model year arrives, not now. The 1SV trim is the base trim level, and it offers alloy wheels of 18 inches, auto xenon headlights, keyless entry, fog lights, heated power mirror, dual zone auto climate control, etc. The makers have also given features like cruise control, leather upholstery, heated front seats, height and power adjustable passenger seat, eight-way adjustable driver seat, folding rear seats, leather-wrapped steering wheel and automatically dimming rear view mirror. This trim level of 2017 Buick Regal comes with Intelink infotainment system of Buick as standard, with an 8-inch display screen, and latest stereo system. Smartphone connectivity is also offered with Android Auto and Apple Car Play. With the Sports Touring trim, dual exhaust outlets are added with more powerful engine. The wheels also come with black painted pockets. The LED lighting is added in Premium II trim along with features like rear parking sensors, push button ignition, rear seat side airbags, a high-quality Bose audio system, and navigation system. The range-topping trim, Regal GS comes with standard 19-inch wheels, while 20-inch wheels are optional. Most of the features offered with this trim are exclusive to the trim. Interior of 2017 Buick Regal comes with a sleek dashboard, which has minimal button clutter. The material quality in the cabin is quite satisfactory. However, the overall interior appearance is upscale, although not completely luxurious. The IntelliLink infotainment system has a smooth interface with sharp and colourful graphics. It makes use of swipe commands, just like smartphones. It also comes with voice recognition feature. Front seats are quite comfortable, while the rear seats might feel a bit uncomfortable. It provides a decent cargo space of 14.2 cubic feet, which is a bit better than some of its rivals. 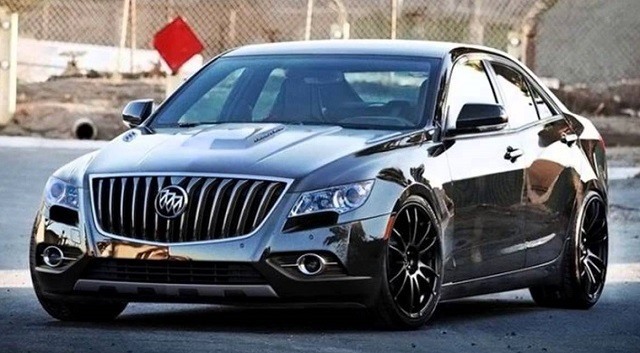 The base model of 2017 Buick Regal has a 2.4-liter 4-cylinder engine under its hood, with an output of 182 hp and 172 lb-ft of torque. The engine offers an average fuel economy of 23 mpg, which might be a bit disappointing given the modest output of the engine. Other trim levels have a 2.0-liter turbocharged 4-cylinder engine that generates 259 hp along with 295 lb-ft of torque. All Wheel Drive is optionally offered while Front Wheel Drive is standard. Across all the trims, a six-speed auto transmission is offered as standard. With FWD, the combined fuel economy is 24 mpg, and it is 22 mpg with AWD.